- Provide information on the major artistic currents of the twentieth century. 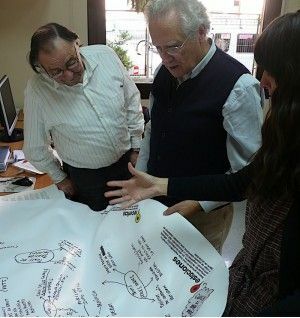 - Generate a climate of dialogue facilitating understanding arts in social and cultural context. - Approach contemporary art through the main references of modernity. - Perform a guided tour of an arts centre in Catalonia. -General considerations regarding artistic scene. -Birth and evolution of modern art. 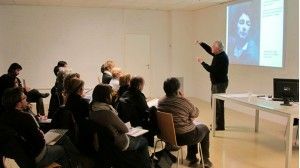 -Visiting the studio of an artist and / or guided tour to an exhibition. • To anyone who appreciates the world of art and artistic creation, and who wishes to deepen their understanding of the meaning and significance of contemporary art. It is especially recommended for students of art, design and communication, and for artists of any artistic discipline. 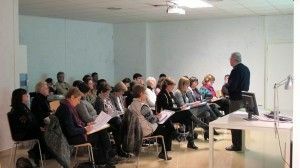 • The course is taught by Dr. Francesc Orenes i Navarro, who was Professor of the Departament de Pintura de la Facultat de Belles Arts de la Universitat de Barcelona, and collaborator teacher at Escola Elisava de Disseny in Barcelona. A specialist in issues of visual communication, engraving and bookplate studies.